For those in the Denver/Boulder area – I’ll be presenting at the very first meeting of the new Ableton Denver Users Group on September 27th. Details are below. Click the image to see a large view of the poster for the event. 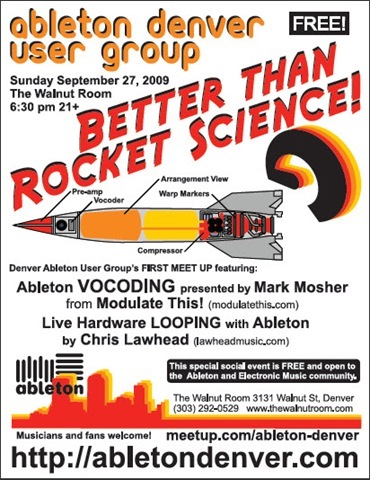 If you would like to attend register at http://www.meetup.com/Ableton-Denver/. Events starts at 6:30 P.M.